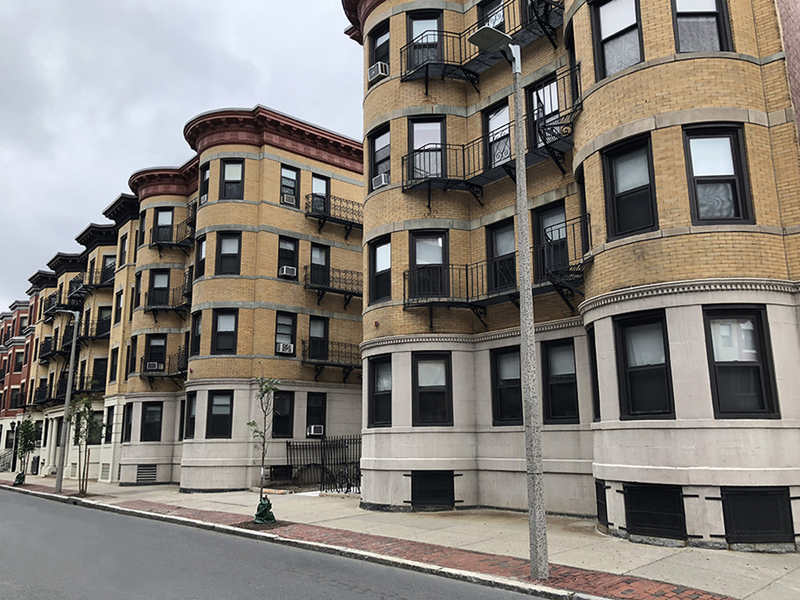 Boston, MA Abbot Building Restoration has completed Phase 2 of a comprehensive masonry repair project at a row of residential apartment buildings located at 143-149 Hemenway St. adjacent to Wentworth Institute of Technology and Northeastern University in the city’s Fenway neighborhood. The project was divided into two phases to allow installation of handicapped ramps for access to multiple building entranceways. To accommodate the owner’s schedule, Abbot suspended the Phase 1 of project in April 2018 until the site work was completed, and initiated Phase 2 in June 2018. Consistent with Phase 1, the scope of the Phase 2 work consisted of cutting and pointing all of the brick joints, replacing deteriorated pre-cast stone window headers and sills, and caulking all of the windows.